School has officially started, and with the start of school comes a lot of changes here at Sylvan Brandt. This year three of our young office workers started school. 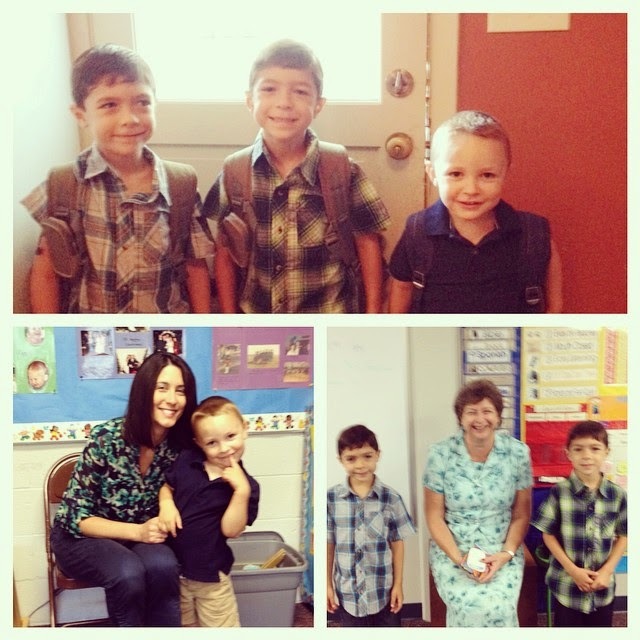 Jackson and Eli started Kindergarten and Titus started Preschool. With this change comes more change in our office. Genna (also known as June) will not be in the office Tuesdays and Thursdays anymore. Instead, Kaddie will be working all day both of those days so that June can spend some more time at home with her little ones. 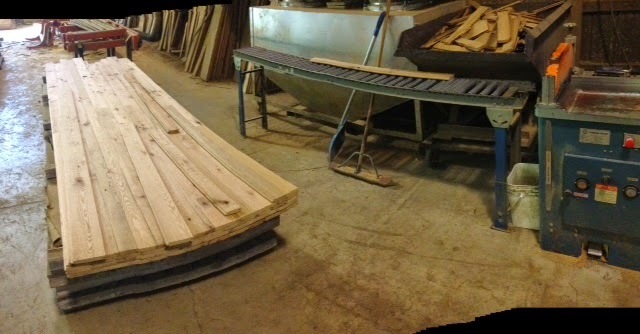 Now onto the mill work…The past few weeks, Tyler has been working on a beautiful new table. It is made out of our Weatherboard flooring. The table is officially done being built and just needs finished. 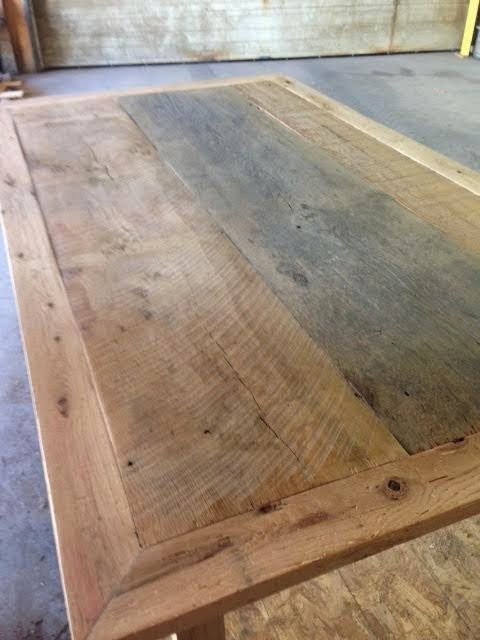 It is a beautiful table and is definitely a company favorite. Ty made the table so that the legs can be taken on and off. This makes the table easy to transport. It will also make it cheaper to ship. We will post a finished picture once it is complete! This week our mill workers have been working on order #9509. As of today, we are halfway done with the 465 square feet of Oak flooring. Below are some pictures from order # 9483. 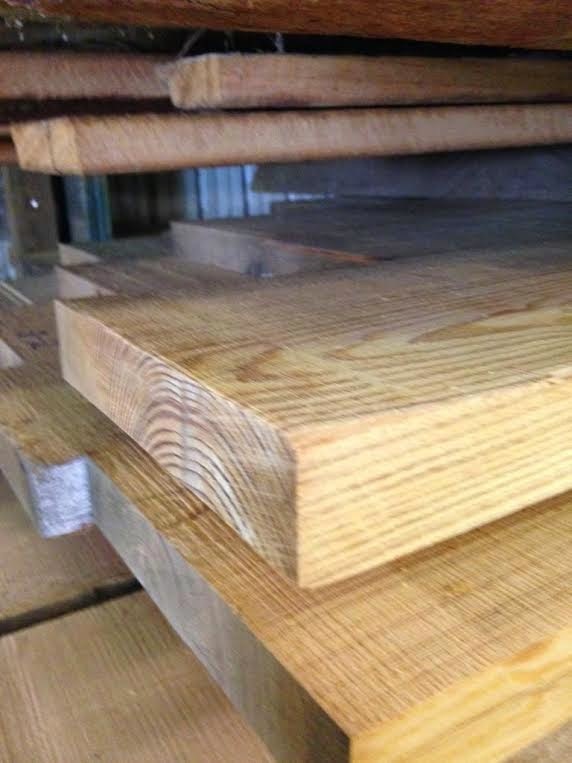 The customers wanted 12 pieces of Heart Pine 5/4″ thick, 8-9″ wide, and 8-9′ long. 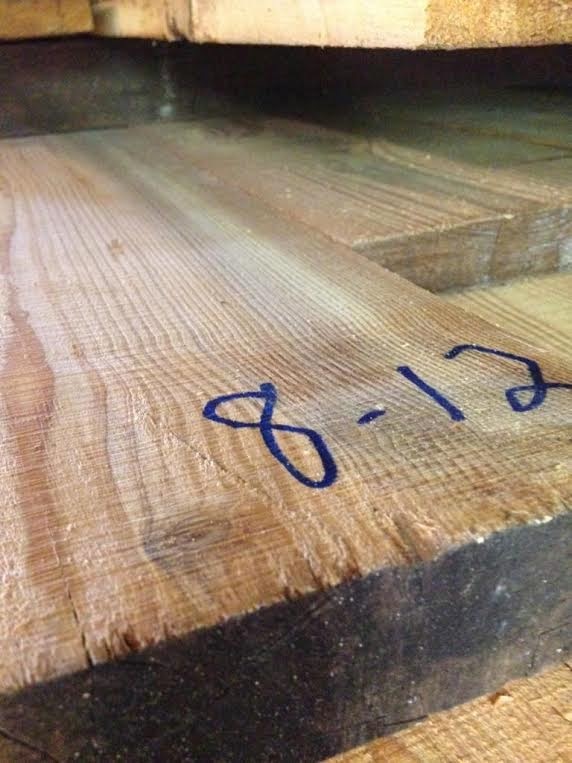 We write the date of the day the wood goes into the drying room on the wood. This allows us to easily calculate how long they have been in and when they should be taken out – normally about 10 days later. Also, on a final note… have you noticed anything different? We have officially changed servers for our blog. This new layout will make it easier for us to post and more convenient for you to follow. Simply add your e-mail at the bottom of the page to be notified every time we post! Unfortunately, when we changed servers we lost all of our previous posts. Please let us know if there is a project or post that you would like more information about and we will do our best to help you! Thank you for reading! Posted in Uncategorized on August 26, 2014 by sharp_admin.